A risk factor is something that increases your chance of getting a disease or condition. The primary risk factor for developing mallet finger is playing a sport or activity that exposes the finger to injury. For example, baseball and basketball. For the first one to two days, ice should be applied for 15 minutes every three to four hours to reduce swelling and tenderness. Do not apply the ice directly to the skin. Your doctor may recommend a prescription or an over-the-counter pain medication. A splint is usually applied to the outermost joint of the finger. It keeps the finger extended and prevents it from moving during healing. The splint should be worn for four to six weeks. If you move the injured distal joint, you have to restart the immobilization time period. Following instructions for splint use is important for this injury. You may need physiotherapy after the splint is removed. 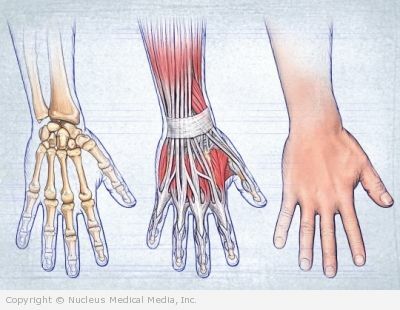 These exercises will help improve strength, flexion, and extension of the injured finger. With or without surgery, mallet fingers often result in some minor drooping of the distal finger joint. However, you should have close to normal function and be able to play sports.